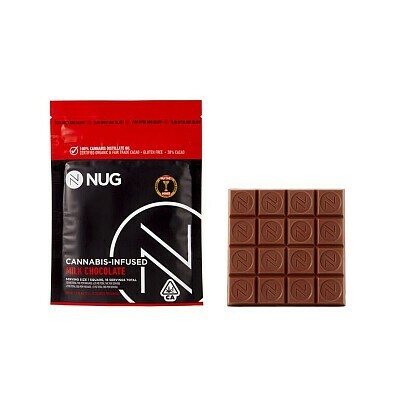 NUG bar - Milk Chocolate 100MG bar. Now in a 100MG bar at 6.25MG of THC per serving. With caramel undertones and a smooth finish, this enticing edible witill satisfy your sweet tooth with its simplicity.